icelandonscreen | Films… from Iceland. It’s been years since we last had a feature-length Icelandic title at the London Film Festival, yet 2011 delivers two with Árni Ólafur Ásgeirsson’s Undercurrent and Rúnar Rúnarsson Volcano. The winner of six Edda Awards, Undercurrent is an ensemble piece set on a decaying fishing trawler. 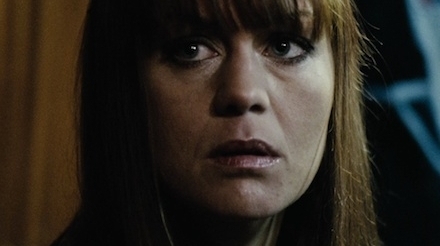 It features notable Icelandic acting talent in the shape of Ingvar E. Sigurðsson and Nína Dögg Filippusdóttir, and a score courtesy of Dagur Kari’s Slowdive. It’s showing at NFI1 on October 16th and 18th. Described as “a fresh and poignant view of the passions, disappointments and challenges of old age”, Volcano earned helmer Rúnar Rúnarsson the Best Directing Award at the Transilvania International Film Festival. It’s showing at Vue Screen 3 on October 13th and 14th. Tickets can be booked for both films right here. It’s a common trait of Icelandic films to depict an outsider discovering the joys and oddities of the country. It’s also relatively common to see an Icelandic venture abroad. What Falcons provides that’s a little different is both treks in the same story. Fresh out of prison, depressed American Simon (Keith Carradine) heads to Iceland, the land of his mother’s birth, where he meets Dúa (Margrét Vilhjálmsdóttir), a younger women who he suspects to be his daughter. After an incident with the law, they flee to Germany with the plan of selling Dúa’s rare Icelandic falcon for a small fortune. It’s a promising premise which doesn’t come close to fulfilling its potential. The central problem is the sketchy characterisation and the disconnection between their motivations and the events that follow. Simon is a no-nonsense type (read: he gets into scrapes that he doesn’t need to) while Dúa is a free spirit (read: she has no concept of the value of money and believes in dubious mysticism). Why does Simon head to Iceland solely to commit suicide? Why does Dúa almost immediately accept the presence of a stranger with a chequered past? Why is Ingvar E. Sigurðsson’s cop so sleazy and aggressive? With so much unexplained (or more likely, inadequately explained) it’s hard to build any empathy with this two-way road trip. Even the unlikely couple’s trip to Germany seems entirely motivated by the film’s funding as, beyond some lurid shots of the Hamburg nightlife, it adds very little substance to the tale. Surprisingly, Iceland’s famous natural has been more depicted with more seductive beauty than it is here, although the opening shot of the approach to a seemingly desolate airport runway is memorable. The film’s main strength is the unity between Carradine and Vilhjálmsdóttir. Their interplay is naturalistic and builds some of the conviction lost in the narrative, while their personal performances possess an almost nostalgic sense of American coolness (Carradine) and a beacon of positivity in a predominantly downbeat encounter (Vilhjálmsdóttir). Yet when Simon records his inner turmoil straight to dictaphone, it’s a device so banal as to undermine its very meaning; it’s a microcosmic representation of a promising if very frustrating film. 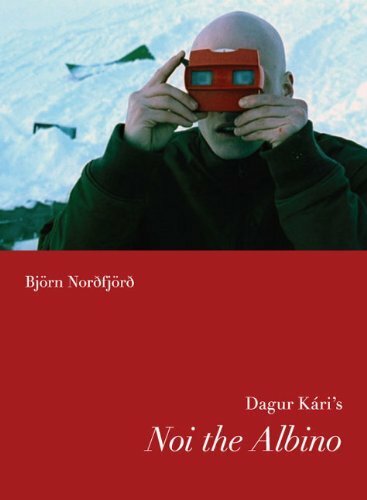 The first Icelandic film to fall under the focus of the University of Washington Press’s Nordic Film Classics series is Björn Nordfjörd’s examination of Dagur Kari’s Nói albínói. Nordfjörd, an assistant professor and Director of Film Studies at The University of Iceland, breaks down the film’s main themes of isolation (both in terms of the individual and in Icelandic geography) and nihilism. Naturally these are topics that almost every viewer will grasp, yet Nordfjörd builds from these basic tenets to discuss the finer layers of meanings and influences that lurk under the film’s surface. While this is essentially an academic tome, the language utilised is almost entirely accessible to the layman – there’s little or no jargon at play. Neither does one need a specialist’s knowledge of Icelandic cinema. Nordfjörd’s observations about the origins of the nation’s film industry are interesting enough, but most of the parallels he draws are with comparatively well known titles such as 101 Reykjavik or Cold Fever. In fact, many of the references he refers to are taken from altogether more famous works from non-cinematic disciplines. Cramming in some quotes from Ray Davies of The Kinks labours the point a little, but on the whole these give his analysis a more accessible quality. As much as Nordfjörd’s study offers various insights which add to the comprehension of the film (notably the history of similar natural disasters in Iceland), the inclusion of an extensive interview with Kari is probably the book’s most insightful element. It’s certainly fascinating to read the director’s fondness for The Simpsons which, he says, informed this film. Springfield’s possession of one of everything – one policeman, one school, one nuclear power plant – is reflected in his desolate village’s single bank, single museum, single book store. The book itself is well presented, the only noticeable drawback being the replication of some of the images. With lots of fascinatingly framed shots, it’s a pity that must of the detail is lost in the grainy monochrome photos that scatter the pages. Regardless, Nordfjörd’s mission statement – to further the appreciation and understanding of a film unusual in setting if familiar in theme – is well realised.